Whether you're a first-timer or a regular visitor to our website, we hope you find what you need. If it's not here, or you have a suggestion for improvement or a problem report, . Oregon has over 3600 species of native plants. Large or small, abundant or rare, each is unique and special. Over 450 of our native plant species are listed as threatened or endangered by the Oregon Biodiversity Information Center. NPSO, both at the state level and through individual chapters, provides support for research about native plants. 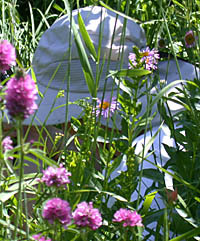 Classes providing information about native plants are given by local chapters. The NPSO Bulletin and our journal, Kalmiopsis, provide timely and in-depth coverage of issues relating to native plants.